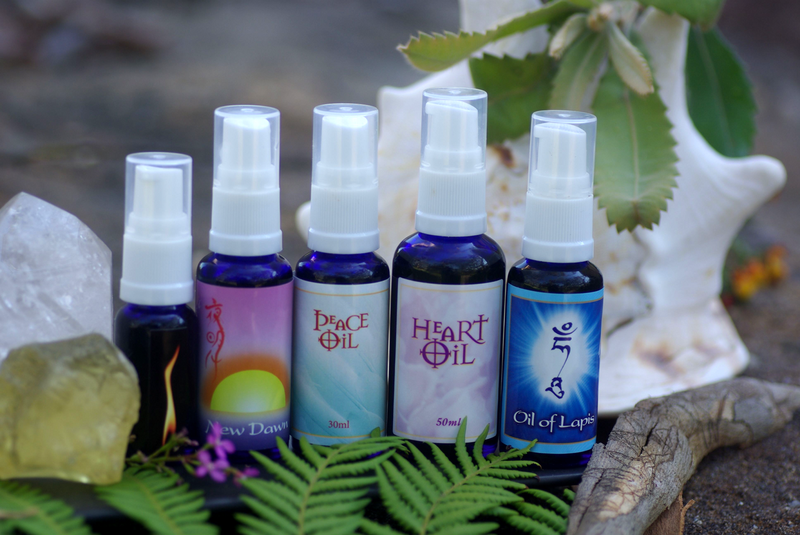 These Oils are Mandalas constructed to communicate directly to the energetic system of the body. They are primarily tools to support personal and spiritual growth. Made with vibrational essences, essential oils, and base oils. They are intended to assist you by communicating Love, Compassion, Peace, and Healing directly by touch alone, and in doing so to support you actively in your daily life, as you integrate insights, and seek healing for yourself and others. balancing point for all the subtle bodies"
Reflects purity of heart and facilitates an acceptance of Love. It is primarily a tool for personal and spiritual growth, or awareness. It is constructed as an energetic mandala to communicate directly to the Auric Bodies, igniting the Heart in its role as central balancing point for all the subtle bodies. It begins to defuse the inflammation occurring at each level of separation. Allowing an experience of our truth and purity, diffusing inflamed states of perceived self. Leading to deep relaxation. 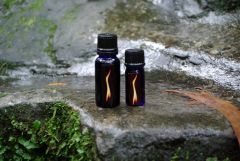 Heart Oil acts to intricately balance and ignite the Heart Chakra in its role as central balancing point for all the subtle bodies. This action assists to bring into balance issues stored or in process, which block the functioning of the major chakras and affect the flow of energy through the meridians. The opening and balancing of the Heart Chakra occurs so gently that a deep sense of love and peace can take root. 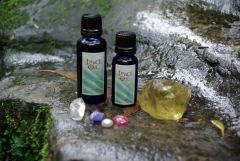 Heart Oil is a mandala constructed with 15 Vibrational Essences of Gems and Flowers, laid down in 7 oils. It contains Essential Oils of Rose and Myrrh in a light oil (nut) base. •To the palms of the hands before healing work. It is a mandala of over 55 Essences of Sound, Colour, Place, Gems, Flowers, Metals, and Animals set in 11 oils. The oils used in Peace Oil are Jojoba, Camellia, Myrrh, Lotus, Mimosa, Angelica, Rose, Helichrysum, Petigrain,Sandalwood, Spikenard. Peace Oil is the completion of the group of three oils. •In any form of Meditation, Dedication or as a support to daily life. •Placed on chakra or Acupressure points before or after meditation. •Added to a bath (on its own or in combination with the other mandala oils). (on its own or in combination with the other mandala oils). Has been made in response to the compassion of Medicine Buddha. It can inspire or support our development of Compassion for self and others. Also we can use it to assist the healing process and stregthen Meditational focus. This oil in its making and during its use is offered in Gratitude to and for the wellbeing of our teachers and the benefit of all Beings. It can be used in Meditation and Healing anywhere on the body. In both Healing and Meditation the Mantra can be spoken or chanted (this is not necessary, but is possible). •Direct to the palm of hand, wrist pulse and Crown of head. •In the Bath - 1 cap. Here at Humanifest we are very happy to announce the release of our new Mandala Oil NEW DAWN! Yoake or New Dawn mandala oil has been available in Japan over the last year from early 2012. The oil was developed in response to the efforts our clients and friends in Japan have been making in recovering from the nuclear and natural disasters they have encountered recently. The mandala was developed to assist all beings enduring natural and manmade catastrophe. Communicating the deep connection to our spiritual reality and path, even in situations of severe trauma and fright. Maintaining this connection assists us to heal easily and to smoothly pick up our life again. Whilst transformation and change is often the natural outcome of this sort of trauma, this mandala supports a smooth movement into positive transformation. The other area of communication in this mandala is the aspect of, "the giving and receiving of compassion". Often the inability to give or receive compassion slows and sometimes stops a natural path of healing. The Yoake Oil communicates a state of easy compassion where loving kindness and compassion is openly given and received. The oil has been tested, named and labeled in Japan. Initially it was thought it would be only available ( as gift) in situations of disaster. However due to the open hearted and positive response to the oil from people in other situations we are making it available for sale generally. The profits from the retail of the oil will be put towards making it available free to areas and situations of need. This mandala is intended to acknowledge the manifestation of Spirit or "Being". This process can be a Consecration in itself. It is a mandala that will strengthen and ground, assisting the integration of any initiation or intent of spiritual practice in keeping with the awareness of spirit manifest. Another way of saying this is that it acknowledges Oneness within and surpassing physical form. It does not give anything that is not already present, but reveals that which is, by acknowledging it. This is a direct and very cleanly acting Oil. 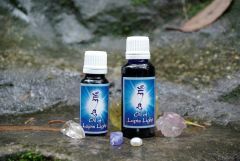 This oil was developed to make available the support and protection that the recognition of the oneness of being creates in daily life. Strengthening the energy system, so that it is less influenced by the disruption of external patterns. From simple issues such as loud noises, to strong patterns of racial, cultural or familial distress, which can influence choices to deviate from the full potential available to us all. This does not say that in using this oil, we will not be impacted by such influences. Rather that we are strengthened so that it is less likely that we will sacrifice all that we are, in fear of what we encounter. As with long periods of meditation, Consecration Oil can facilitate heightened states of awareness. Some people have experienced extended periods of high energy after the first few anointings. So we recommend using it in the morning at first. Great benefit has been experienced where people have come together to anoint each other on the hands regularly over a period of time. It is a mandala set in 3 oils (Jojoba, Myrrh and Frankincense) with 1 Gem Essence, 1 Metal essence, 3 Flower Essences, and 1 Colour Essence. •1 drop to each palm of the hands, soles of the feet and 3rd eye. •On Chakra and meridian points for strong grounding, protection and strengthening of pranic force. •Useful in times of spiritual practice, vows and service to others.